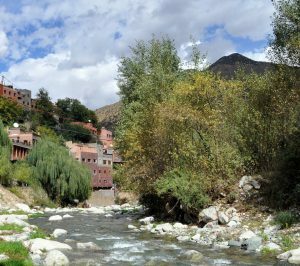 After breakfast, departure towards the Ourika Valley, a superb fertile valley situated between the foothills of the Atlas Mountains. 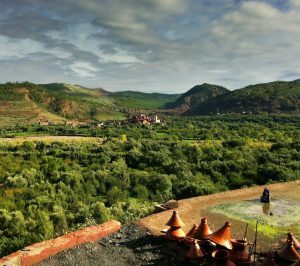 To reach the Ourika Valley, you will go through many Berber villages and experience the superb yellow ochre and greens of the landscape. The first stop will be in a traditional village where you will be invited to a tea ceremony with a Berber family. Next you ride camel back through the heart of the Atlas. 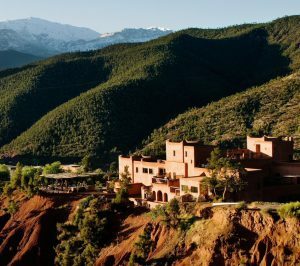 Then, on to Setti Fadma, from which a short walk will bring you to the famous waterfalls and the beautiful views of the Atlas Mountains. Lunch will be had en route. At the end of the day you head towards the camp in Tamazouzt where you will spend the night. Breakfast at the camp. Late morning departure for Imlahan, a small traditional village built into the side of the mountain. 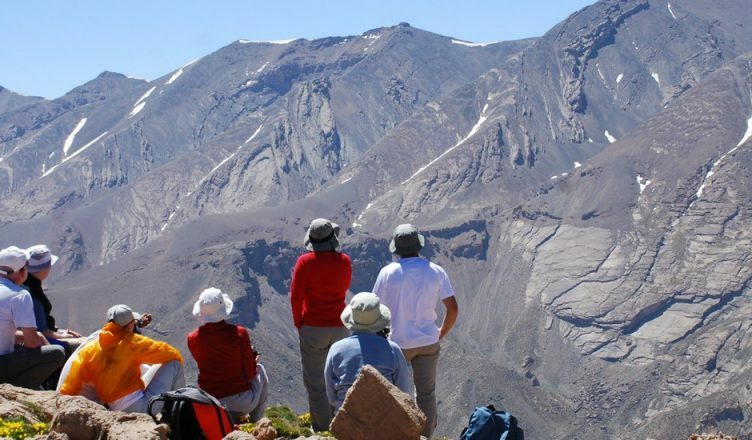 Here, in the heart of the mountains, you will learn all about the Berbers way of life. You will discover the type of crops grown by the farmers and how they harvest salt. The inhabitants of this village live in harmony with nature and the region and you will experience first hand the traditional methods they use. You will spend the night with the villagers and will be able to appreciate Moroccan hospitality.